The Police were a unique British based group that formed in London in 1977 and were ultimately inducted into the Rock and Roll hall of fame in 2003. The Band was centered around Sting on lead vocals and base, Andy Summers on guitar and Stewart Copeland on drums & percussion. The Police were one of the original “New Wave” groups whose style was influenced by rock, reggae, jazz and punk and they were all very accomplished musicians. The band sold over 75 million records as one of the best selling acts of all time including their smash album in 1983 called “Synchronicity”, which gave us the all time classic, “Every Breath You Take”. The band eventually disbanded in 1986 and then briefly reunited again in 2007 for a final World Tour, which was the highest grossing tour of that year. 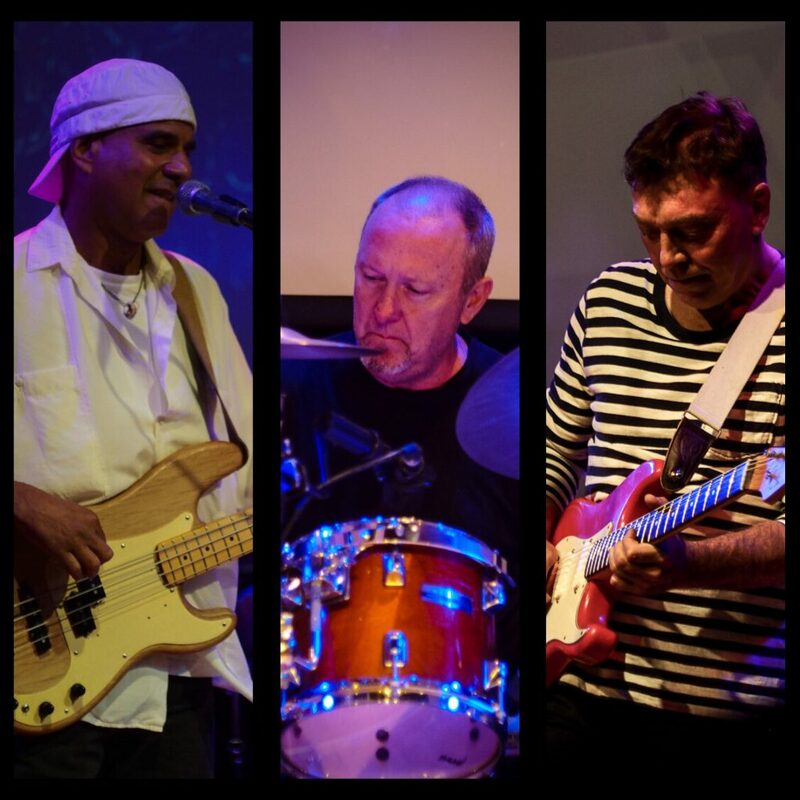 Trio formed in 2017, and is comprised of three of Vancouver’s most prolific and accomplished musicians: Billy Mendoza (bass, vocals), Phil Robertson (drums, percussion), and Andreas Schuld (guitars). Bassist and lead vocalist Billy Mendoza has recorded and toured with country acts Suzanne Gitzi and Lynn Taylor Donovan, as well as blues legend Long John Baldry. Drummer Phil Robertson has played with the David Foster Band, Roger Hodgson of Supertramp, Big Wreck’s Ian Thornley, Burton Cummings, The Canadian Tenors, Paul Janz and Alfie Zappacosta. Andreas Schuld has performed on hundreds of albums by artists ranging from Grammy winners Raffi and Long John Baldry to Juno winners/nominees Susan Crowe, Bill Bourne, Kenny Wayne, Hans Stamer, Farmer’s Daughter and many others. Trio recreate the look and sound of one of the most influential pop groups of all time and you will hear each song done note for note, sound for sound, just as the original recordings were intended. Songs such as “Message In A Bottle, Roxanne and Every Breath You Take”. Hear the best of the Police live and in person at the Zoomershow Main Stage!